Soooo. Baby girl is due to arrive in slightly under 6 weeks. 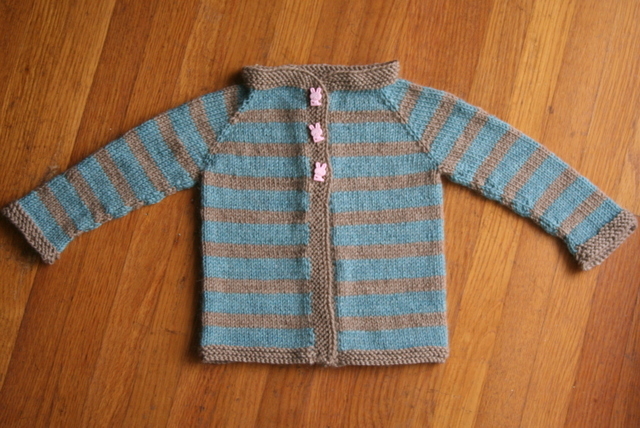 Baby-knitting projects seem to be just about the right size to keep my interest, and to finish them in a timely fashion. 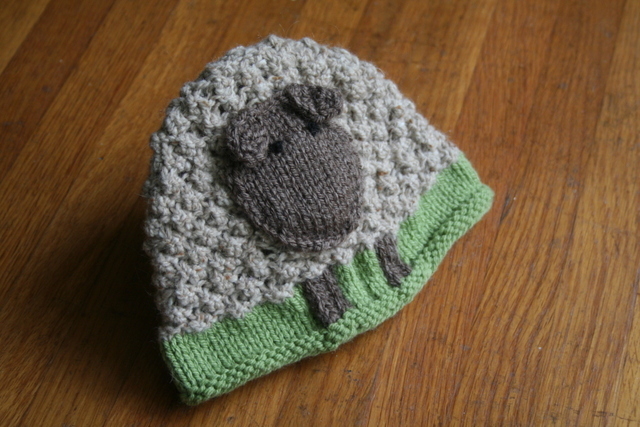 First up: a sheep hat, from a book of baby knits that Ryder got me for my birthday shortly after we found out we were pregnant. The hat, I must admit, is wooly really adorable. My only quibble is how the legs are knitted in – if I were to do it over, I’d knit the whole base in green, and go back and embroidery/fake-knit the legs on top of the green. Carrying the brown behind was a hassle, especially since it’s knit in the round (how are you supposed to get the brown yarn back to the start of the leg row?). 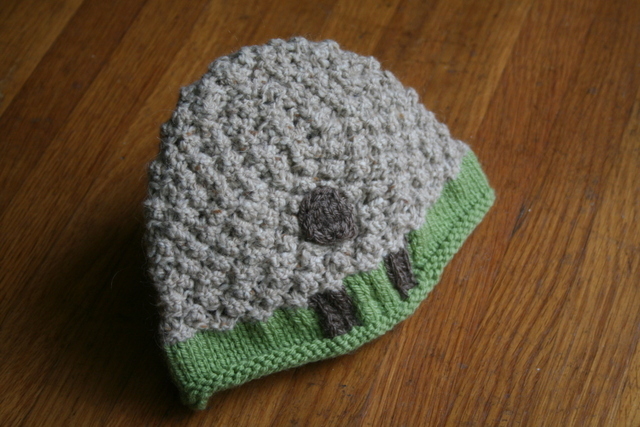 Granted, I have limited experience with colorwork, so maybe I need more practice. 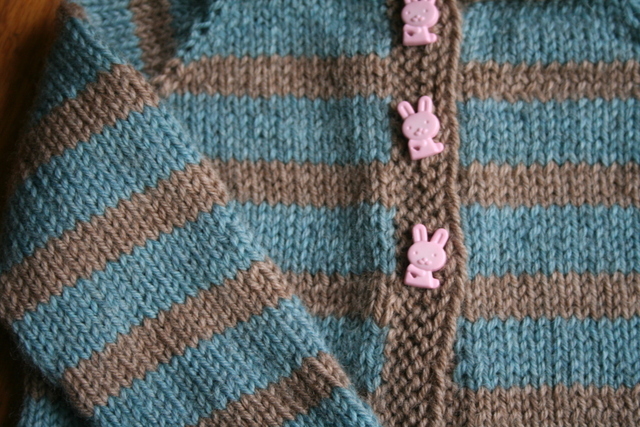 Next up, a striped cardigan, also from 60 Quick Baby Knits. 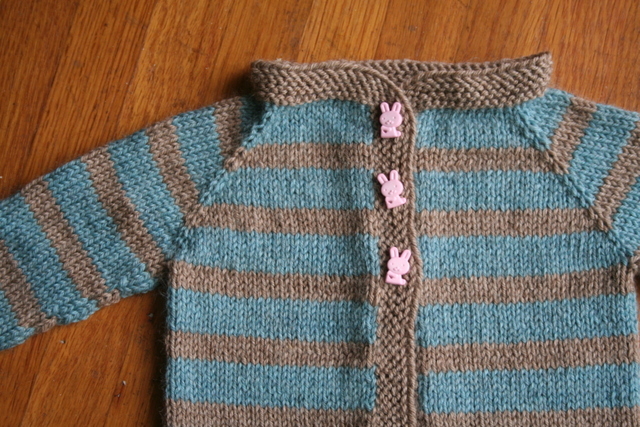 The yarn is Cascade Superwash (I figured I might as well help myself out with the laundryt), chosen before I knew we were having a girl… I realize it looks rather boy-ish, but I say “too bad!” I love blue and besides, I found some really cute pink bunnies for buttons so that evens things out. Right? 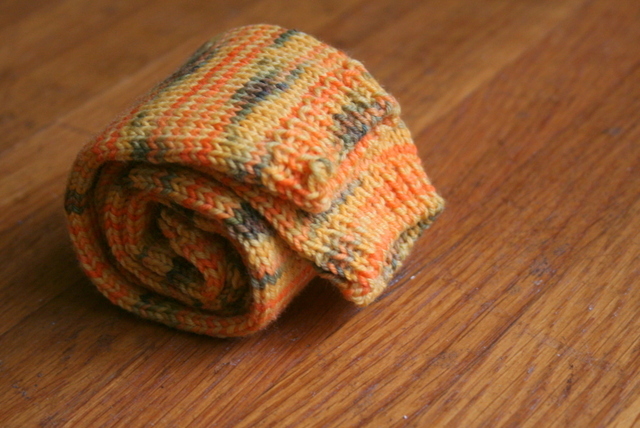 Finally, a pair of baby legwarmers, made with the leftover yarn from these socks. I don’t know how I feel about mama/baby matching outfits, but I love this yarn and had just enough left to make something for baby with it. 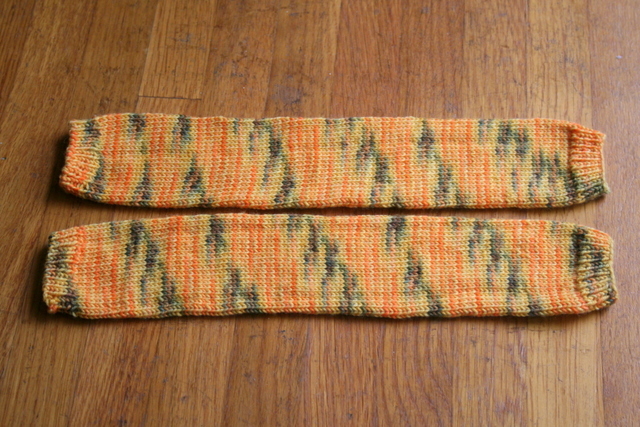 This was a great project for in the car, in the waiting room, and at a friend’s craft night – it’s a simple tube with 1×1 ribbing on both ends, so there’s no stitch pattern to lose track of while chatting. I mostly followed the tutorial from here to guide the dimensions. 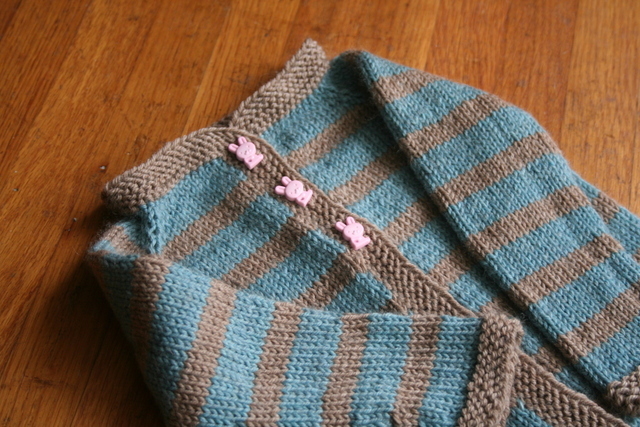 This entry was posted in baby, Knitting. Bookmark the permalink.